One of my new year's resolutions has been to craft more with the children and we were really pleased to be chosen as members of the Bostik Craft Club for 2015 which I am sure will help with this. Our first post saw us being sent a fab box of Chinese New Year goodies to get our thinking caps on to create a craft celebrating the Year of the Sheep. 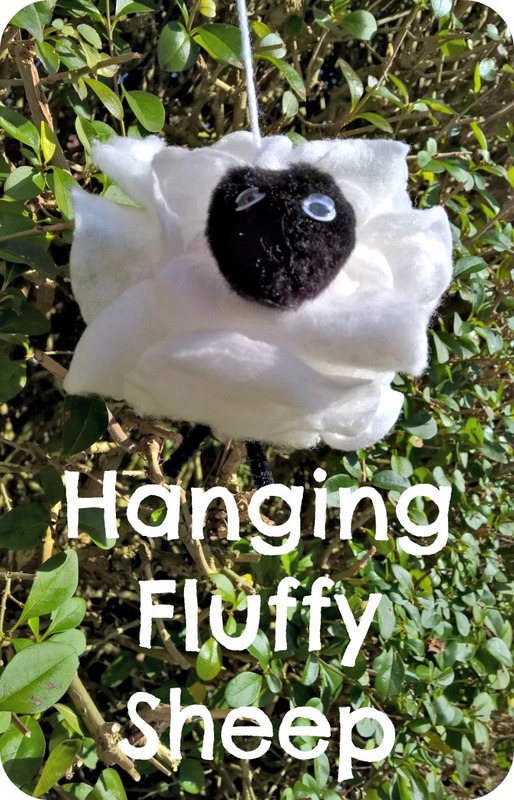 We love crafting with cotton wool so, having spotted a few things that would be really useful, we came up with the idea of Hanging Fluffy Sheep. 1. Peel the cotton wool pads in half so that each half has a fluffy outer layer. 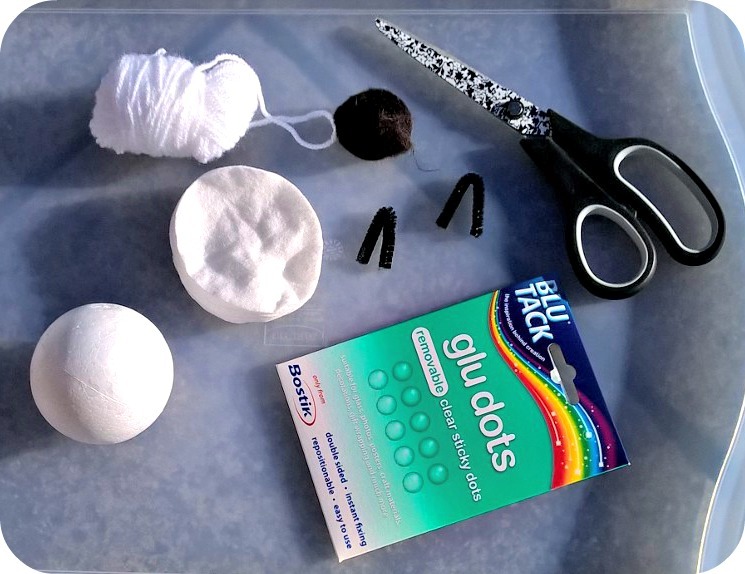 Stick them all around th polystyrene ball using the glue dots. Don't worry too much about neatness as you want your sheep to look fluffy. 2. Stick your pipe cleaners to the base of the ball using the Bostik Foam Pads (I used two per set of legs). 4. 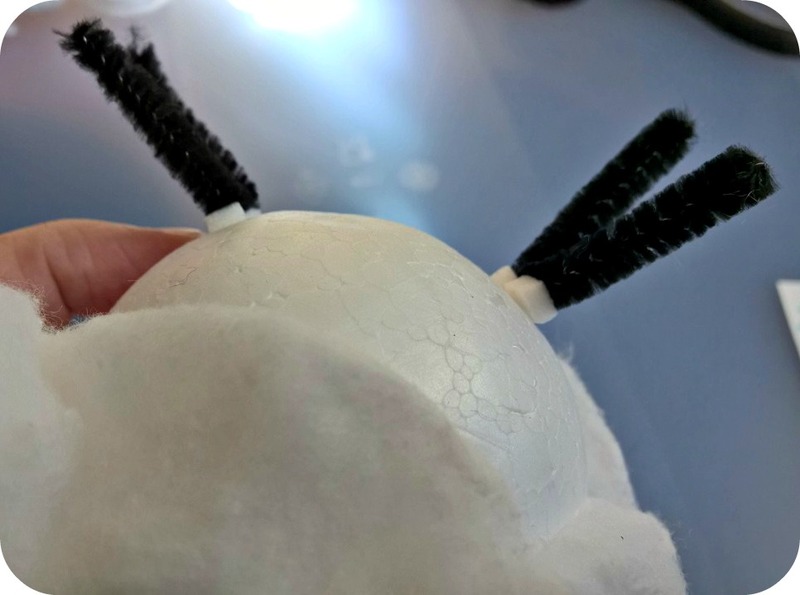 Once your sheep is covered and the legs are attached, stick the black pom pom and two googly eyes on to the front top of the sheep to make his head. 5. 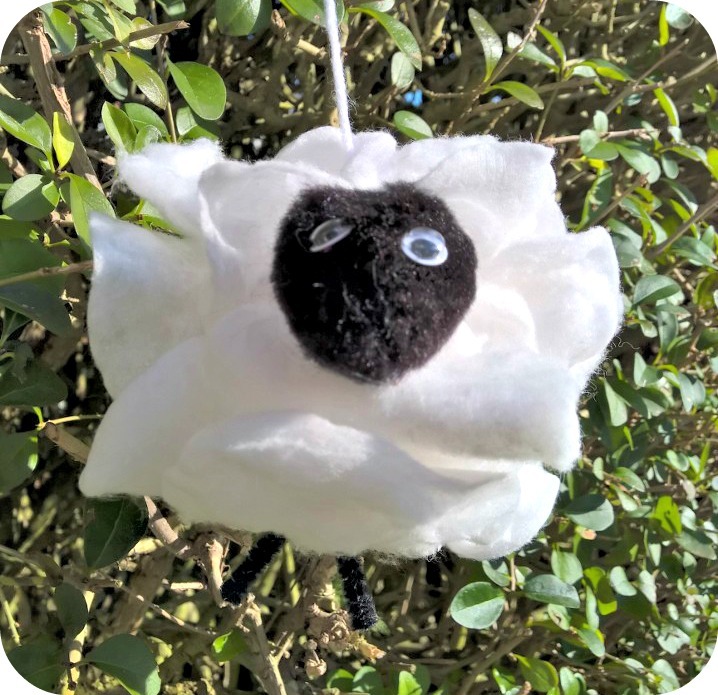 I think the sheep look really sweet hanging up so you can see their little legs properly and we hung ours with a piece of wool stuck to a glue dot on top of the sheep..
Are you crafting for Chinese New Year? Disclosure: The box of craft supplies was provided free of charge by Bostik as part of the Tots100/Bostik Craft Bloggers Club.